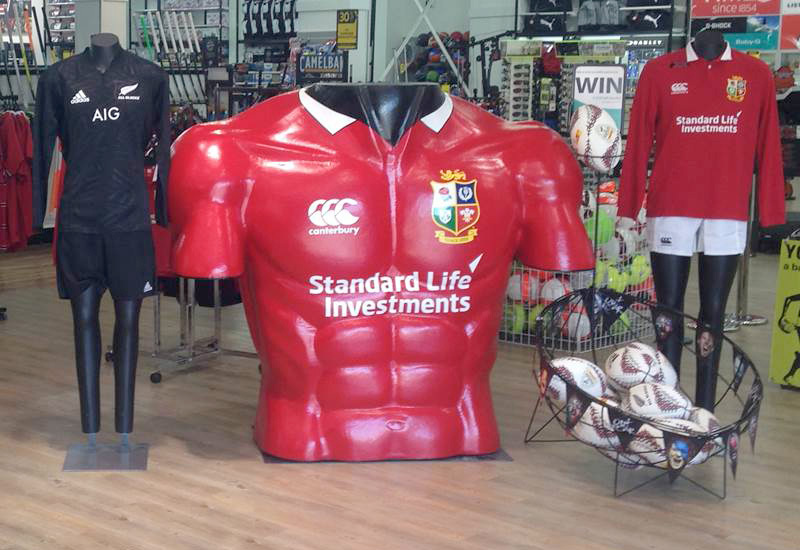 When Canterbury of NZ, the official jersey supplier to the Lions, wanted some impact in their key retail outlets, they approached us about making some large torso’s to get real cut through in store and create a buzz around the tour and jersey. Our props team really stepped up to the mark on this one, delivering a sculptured masterpiece that did justice to both the team and jersey. 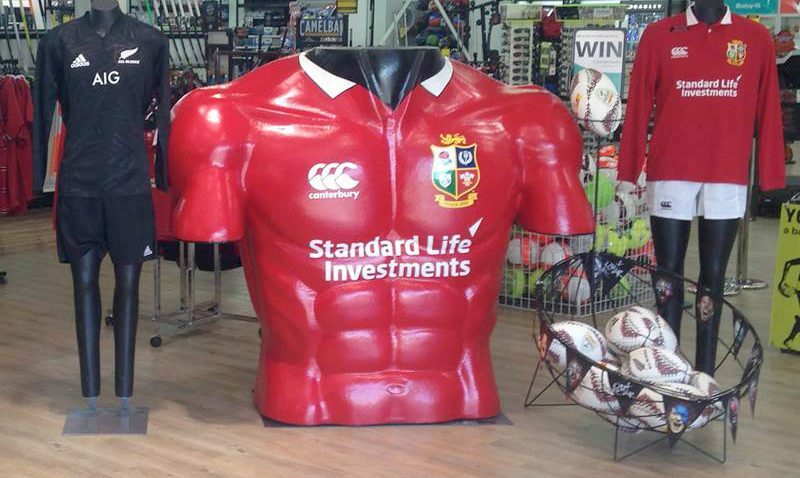 So if it’s a one off piece you need to promote your business, give the team at Marketing Works a call on 837 5150.